Since Ellen Page came out in February, it seems like lesbians and lesbian rumors are coming out of the woodwork. Here’s a rundown of the lesbian hopefuls springing up all over the interwebs. As Lesbian.com reported yesterday, lesbian rumors have swirled around the “Twilight” star since her split with Robert Pattinson in May 2013. The lucky lady is pal Alicia Cargile. Showbizspy cites the pair’s proclivity for dressing similarly as evidence of their sapphic swaying. It works for us. Stewart starred as a tomboy trapped in a room with Jodie Foster in “Panic Room.” That would make even the most rabid heterosexuals turn. This is a rumor we hope is true. 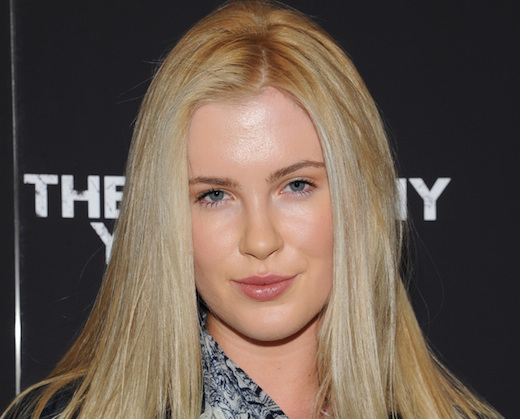 The statuesque, 18-year-old model daughter of Alec Baldwin and Kim Basinger is dating a woman, allegedly. Autostraddle chronicled the Twitter love fest between Baldwin and rapper Angel Haze, who got matching “we can be heroes” tattoos. The only thing that says lesbian more than matching clothes is matching ink. Let’s hope this one is true, too. Remember when people like Michelle Rodriguez made us guess and wish and wonder for years and years and years about whether they were on our team or not? Not anymore. Not only does the hottest model on the planet openly date the aforementioned lesbian tease, Cara Delevingne, 21, says “she plays for more than one team.” From February to mid-April, Cara and Michelle were inseparable and constantly tweeting their affections, but it has been radio silence for a few weeks. Hot off the rumor mill, TMZ is reporting that Cara is spreading the lesbian love as she was spotted leaving a London nightclub on April 30 holding hands with Sienna Miller. Girl, this lesbianism is catching. A few ladies we’ve longed to have on our team for years have acknowledge taking a dip in the lady pool recently. On “What Happens Live,” the “Charlie’s Angels” star said “Yes, I have been with a lady, yeah.” Unfortunately, she did not elaborate with details, like which lady and for how long, but it’s a start. Crossing fingers and toes that we can send her a toaster oven soon. No one can love dogs that much and not at least visit the lady end of the pool. She told the Huffington Post that “[She’s] made out with more than one woman, but it just sort of happened. And there may have been alcohol involved with one of them.” Even if she’s not going to join team lesbian full-time, we owe her a huge debt of gratitude for writing all the best lesbian break-up songs. Get your tissues out, MacLachlan’s new album “Shine On” comes out May 6. Posted May 1st, 2014 & filed under Entertainment.